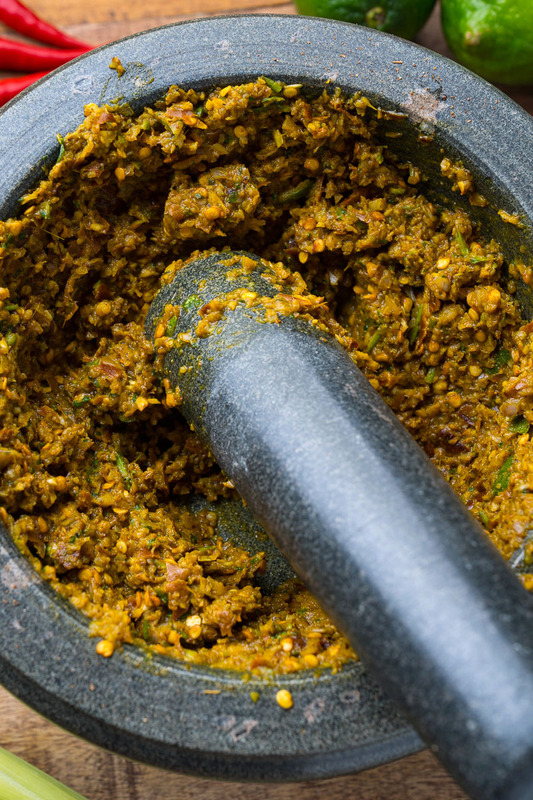 A quick, easy and tasty homemade massaman curry paste! It’s so easy to make your own Thai style curry pastes at home and this homemade massaman curry paste is one of my favourites! Soak the dried chilies in 1/2 cup just boiled water until tender, about 20 minutes, before removing from the liquid, and removing the stems and seeds. Lightly toast the peppercorns, coriander seeds, cumin seeds, fennel seeds, and cardamon pods before grinding in a spice grinder. Puree everything in a food processor until it forms a smooth paste, adding oil if needed. Option: Add 1/4 cup roasted peanuts. Tip: Store any unused curry paste in the freezer for use later!